In Japan, a lot of times, a signature only is not enough for official documents. Other than a signature, a personal seal or “Inkan” or “Hanko” in Japanese is used when you sign official documents at a bank, workplace and others. Last week, I just made myself a new inkan since I need it for work when I sign documents related to the work I’m in charge of. My old inkan is a traditional type that contains no ink and I need to dip it into red ink every time I use it which is very inconvenient. 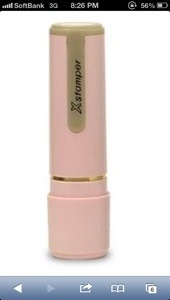 The new one I ordered looks like lipstick with a cap that contains ink already. The ink is also refillable! What’s a personal seal or Hanko/Inkan? It acts as an identification or an official personal signature. For Japanese in general, it would be the last name in Chinese characters (Kanji) but for foreigners, it’s ok to be first name or even nick name and in katakana, hiragana, romanji or even kanji if you have one. Most of the time, companies or governmental organizations would use a big square-shape inkan while inkan for business or personal would be small and in a circular shape. I use katakana of my last name in my inkan. Up to 6 characters fit into this small circular inkan. A seal represents one’s official signature which means it is used in official occasions. It is used when opening a new bank account, making contract, and others. In other words, things that are related to money and business. I find myself using it all the time at work when I need to sign on documents related to the work I am in charge of! There are two types of seals: personal seal and registered seal. The one you register is your official seal that you should bring to the city hall to register. Once you have done that, you will get a registration certificate or 印鑑登録証明書. With this certificate, you can use it to make loan, buy a car, house, etc. In some certain circumstance, you will need this certificate. Why do Japanese people use this? /Where is it from? Seals are made of stone and are carved with names. Thus, it is some kind of a calligraphic art as well. According to some articles, hanko was found a very long time ago and it was a hanko of the emperor. Thus, a hanko represented authority. Then, noblemen started to use hanko, followed by samurais. 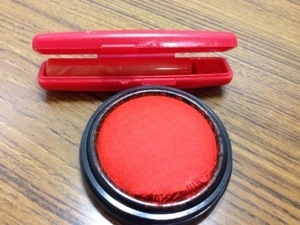 Finally, hanko become widely used in Japan. 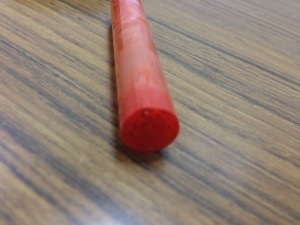 Nowadays, there are many kinds of hanko fraud since it is easy to copy. Therefore; hanko may be lost soon. However, it still has a lot of cultural meaning remain within it. Where to get it?/How to make one?! Where: For Japanese or people with common kanji name, inkan can be purchased at regular stationary shop, book store, or even 100 yen shop. Unfortunately for most foreigners, inkan must be ordered and made specifically. I got my inkan made at my university when I first came to Japan. They opened a booth for all foreign students so we didn’t have to go anywhere else. But normally, you can make an inkan everywhere. 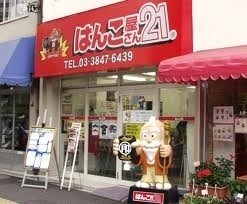 I recommend Tokyu Hands, AEON mall, and any hanko shop around. It is not so hard to find a hanko shop but if you can’t find one in your area, go to the stationary department at a mall. One of the convenient ways is to order online in case you can’t find any place nearby. How much: The price range is mostly from 1,500 yen to 5,000 yen. There are some kinds of inkan that are very expensive and the price can be up to 50,000 yen! (I saw one in Tokyu Hands-shocking). I got mine in a reasonable price of 2,250 yen. For orders online, note that you may need to pay for some small shipping fee depends on your area. Mostly around 500 yen. Also, depends on how you pay, there might be a small transaction cost as well (convenient store and credit card =o, pay at delivery and deposit = yes). Which one: There are many types of seal. A traditional type is the most commonly used which is a carved stone like my old one. 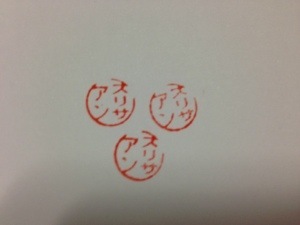 However, these days there are many kinds of seal that is similar to a stamp. Some, contains ink within the cap and some even comes together with a pen (one side-pen, one side-seal). Note that sponge or rubber type stamps is not acceptable as official seal. Design your seal: Once you’re done choosing your favorite type of seal, now you can choose how to write your name on it. For Japanese or people with kanji, it is easy since most people have 2 kanji characters which will fit perfectly in the seal. But if you are a foreigner like me, you can choose your last name or name as you like and you can write it in romanji, kanji, hiragana, or katakana. I chose my last name since it fits with 5 characters in my seal and it is written in katakana. You can also choose your favorite font, order, and color as well. Normally, an official seal should be in red ink. Lucky that you have Kanji! Applications and things are much easier! Thanks for your story. Do you know of any person or company who will design traditional seal artworks by digital for non-Japanese? I looked at the sites you linked but I cannot read Or translate them. Hi thanks for this. I didn’t know you can get hanko in Tokyu Hands. I don’t live in Japan but I practice calligraphy. How long does it take to order a hanko? 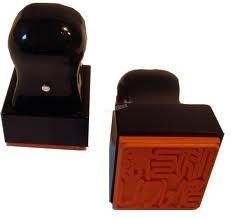 I will be going to Japan this year and I want to have my own hanko? Can I go to a shop and get it the same day or next day? Thanks in advance.